Canada is listed in a press release from U.S. Central Command as one of the coalition nations launching airstrikes against Islamic State forces, marking the first mention since Canadian planes began flying missions over Iraq late last week. The press release, dated Wednesday, covers airstrikes that were launched on Nov. 3, 4 and 5 against targets in Syria and Iraq as part of the coalition’s operation dubbed Inherent Resolve. 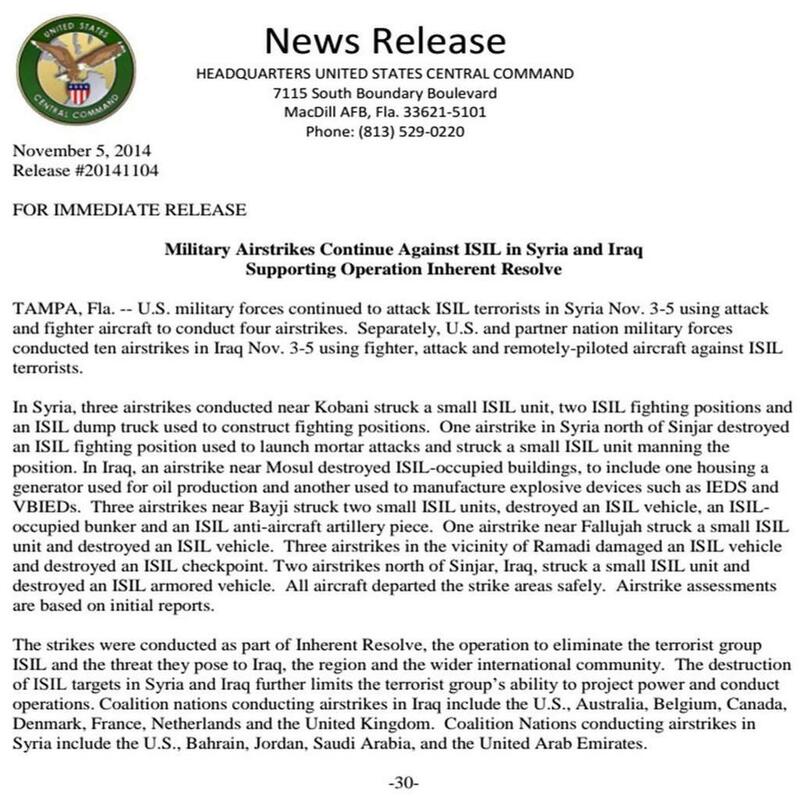 The third paragraph of each press release from U.S. Central command explains Inherent Resolve, and lists the countries that are conducting airstrikes in Iraq, as well as those participating in airstrikes in Syria. Before Wednesday, Canada was not listed among the nations participating in airstrikes against Iraq. Canadian CF-18s began flying missions last Friday and dropped their first bombs on Sunday.